No photos of the cats, by any chance….? Aaaawww…. I make it 17 cats in that picture! Thanks! 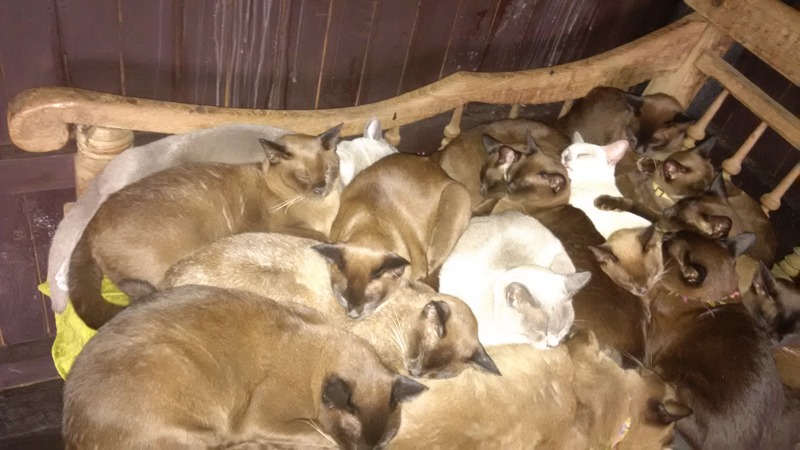 Apart from general cuteness, I was interested to see what they look like, because the ‘Burmese’ that you can get in the UK and the US have been specially bred for the whole show/pedigree lark and I believe have quite a lot of Siamese in them. But they do look similar.